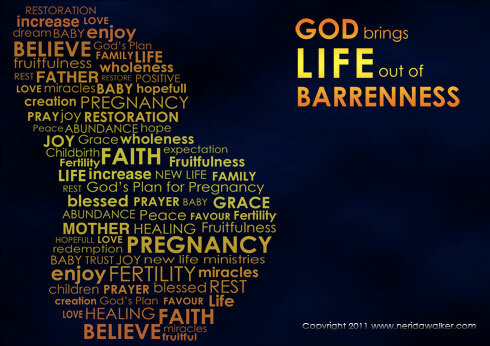 God brings LIFE out of Barrenness! Many believe that waiting on the Lord means to wait on the Lord for the length of time that it would take for Him to move in our life. However, the Bible itself explains what it means to wait on the Lord. The original word wait in this Scripture is the Hebrew Word Qavah and it means: to wait or look eagerly for, to hope, to expect. Expect in Jehovah, the One True God, be secure in Him, and He will confirm the determination of your heart. Expect I say, in Jehovah, the One true God. There are many other Scriptures where the word wait is this same word Qavah (to expect). The Dictionary also defines the word wait as meaning ‘to expect’. Therefore, to wait on the Lord does not mean that we sit back passively until something happens. It means that we need to be active and expect to see God’s Word outworking in our life. Those who expect shall have renewed strength. Not those who are hoping or wishing but for those who have a faith filled expectation to experience all that God has for them. Expectancy is the breeding ground for miracles! Expectation fuels our faith (belief in Jesus finished work) and we are strengthened because faith (belief in Jesus finished work) is the substance of what we are expecting! In the Old Testament Jer 1:12 (NIV) says that… God is watching His Word to perform it. The NKJV reads that ‘God is ready to perform His Word’. God was ready to perform everything He said and those that knew Him expected it to come to pass! It is important to note that we have a better Covenant based on better promises than the Old Covenant. So when it comes to what Jesus has already purchased through His finished work we don’t have to wait or expect God to perform His Word. Why? Because He has already sent forth His Word and healed you, delivered you, forgiven you and set you free! Hallelujah! This is why all of the promises of God are ‘yes’ and ‘amen’ (so be it) in Christ. But the exciting thing is that what Jesus has purchased are not promises ‘per say’ but rather PROVISIONS! And if you belong to Christ then this is already your inheritance! You can therefore expect to see what Jesus has already purchased for you outworking in your life! Letting God show Himself strong to you! 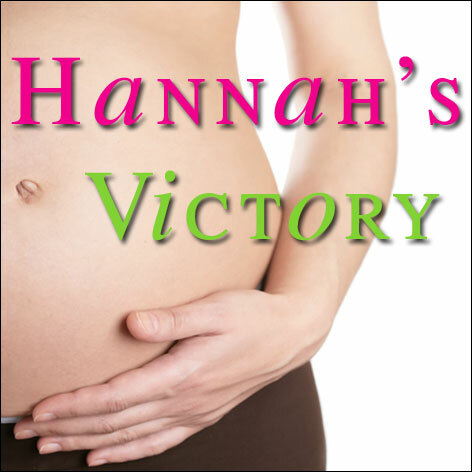 The focus of this group is for those who are believing God for their OWN biological children (Note: this group does not cater for donor or adoption). If you have had a victory in these areas & would like to join to encourage, pray & support others you are also welcome to join. MEMBERS ONLY can view the posts! However, please NOTE that your posts and comments within the group will show up on your timeline BUT ONLY YOU and your friends who are also in the group can see the posts. This means that NO ONE ELSE can see what you post in this group. We have double checked this feature so rest assured your posts are private. On becoming a member of this group you agree to adhere to the following guidelines. These are simply to create a safe and unified environment for all the members. It will be beneficial for you to believe in and be open to Healing and Jesus finished work. Please refrain from heated discussions with other members. If there is any offence taken from other members please contact the person privately & if the issue is not resolved privately please contact the admins of this group. We pray you will find this group a great source of encouragement in your journey and what you learn will help you to cross the line from barrenness into FRUITFULNESS in every area of your life!